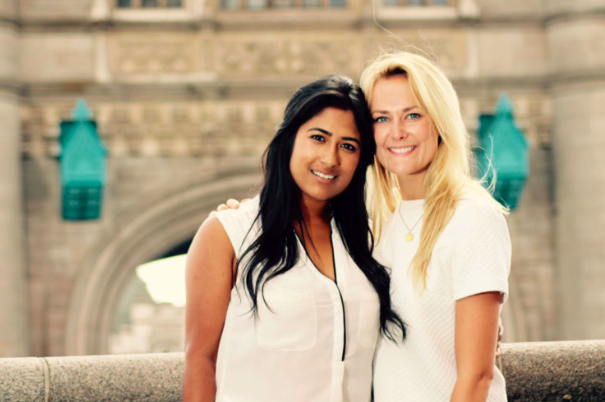 We met school friends Farah Kabir and Sarah Welsh, the creators of HANX, a new stylish range of male condoms 'by women, for women'. These women have massive ambitions to shake off the taboos that run riot around sexual health and we're loving it. 1. What's the biggest lesson you've learnt from starting up? Definitely patience. We've been eager since the beginning to get the job done but we've learnt that everything takes time. We've also realised how important our network is. We've called on everyone we know and they've all helped to make Hanx a reality. Everything takes a bit longer than you expect. When we first launched we thought we’d have it up and running within six months. People around us told us not to put pressure on ourselves to expect so much so soon. We could have listened to them! Never. It took us eighteen months from determining the concept to launch and it has been far from a smooth journey but we've never wanted to give up. We're passionate about breaking taboos around sexual health and we believe in our vision, which keeps us going. It tests us and challenges us but we're determined to make it work. We're really pleased with the end result. 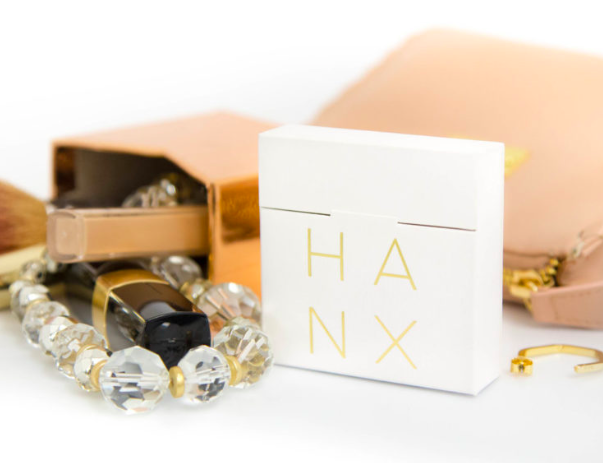 Launching HANX and seeing it gain traction organically. 5. Has it lived up to your expectations? Sarah: I can't say I had any. I wanted to be my own boss, make a change and work with my best friend. Those things have been fulfilling and I am enjoying learning so much every day. 6. Who is your inspiration? Anyone who is changing behaviours and breaking taboos. We're passionate about promoting positive sexual health and want to empower women to take control. Anyone who is challenging perceptions inspires us. 7. What keeps you motivated? Knowing we're making a positive impact. The fact that we're creating a product that is compelling to many and building a movement is extremely rewarding. 8. What business or brand do you look up to? We look up to so many businesses in the startup space. Huckletree is one that's creating a unique community. It's the sustainable businesses that are breaking barriers that we admire. Sarah: I guess I would be continuing full-time work as a doctor! 1. 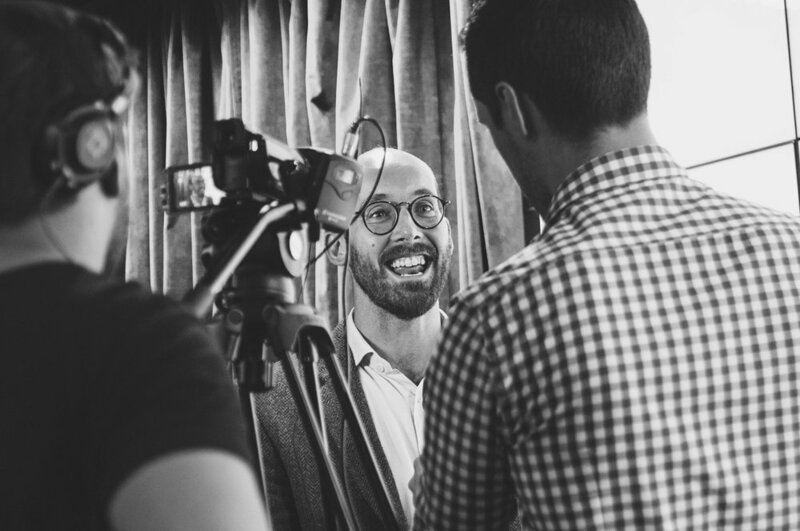 What's the biggest lesson you've learnt from starting up Dr Will’s? Don’t be afraid to ask people for help. Everything will take 6-12 months longer than you think. At least monthly! The best thing about having a co-founder is having someone who won’t let you! I suppose it’s happened gradually but we now feel that we've built a great team, so coming in on a Monday morning and seeing everyone working towards our goals, feels like a big milestone. Sir Harold Gillies - Pioneering plastic surgeon who worked tirelessly during the world wars to reconstruct injured servicemen. He wasn’t afraid to push the boundaries of surgery and made great strides because of this. Knowing that what we’re doing will make a positive impact. Patagonia - They have an incredible ethos that spans their brand, team members and products. Yvon Chouinard is pretty inspirational too! Plodding on with my plastic surgery training. 1. What is the biggest lesson you have learnt from starting Jake’s Boost? The food start-up scene is huge now, especially in the UK, and there are lots of people who see it as a business opportunity, who pretend wanting to help start-ups. They use the vulnerability and inexperience of entrepreneurs for their own financial gain. There is a plethora of businesses nowadays that offer “tailored services” for new ventures- some of them are fantastic and totally get the needs and restraints of an early stage business. Some others not so much. Very early on, you need to find a mentor or advisor who is as passionate about your product as you are and wants to see you succeed without expecting anything in return, someone who can also protect you from those predators. Having said that: you can’t protect yourself from all that can go wrong. There are mistakes that you have to make- don’t avoid making mistakes or delay serious decisions. Getting it wrong and fixing it again yourself is a fundamental part of the whole learning process. Knowing how to end a business relationship well is as important as building one. When you go to business school or any entrepreneurship workshop they always tell you that you have to surround yourself with talent and how crucial team work is etc. but no one teaches you how to terminate a contract with both parties involved walking away without hard feelings. But again, that’s all part of the learning process. There are still moments when we feel really sorry for ourselves because everything and everyone seems to conspire against us and nothing is going right but we have to work through that and move on. Running your own business isn’t always plain sailing. Especially the first couple of years can be very tough and we had to deal with personal losses during that time as well which of course had an impact on the business. But we were never close to throwing in the towel. This might sound crazy but the biggest milestone was probably when we had orders coming in and we didn’t know the person ordering. For the first few months, 99% of orders came from friends and family members because they of course liked the product but also wanted to support us in every way they could. When the first online orders came through with delivery addresses and names we didn’t recognise that was a marvellous feeling. We aspire to turn Jake’s Boost into an ethical company like Patagonia. Their company culture, value and environmental ethics correspond with ours and not only do we love their products but we are in awe of their achievements, both in businessas well as in regards to their social impact. Patagonia took an early position against globalization of trade where it means compromise of environmental and labour standards and started as a small company to commit a percentage of their profits to the protection of natural habitats. But they don’t rest on their laurels- they still search for more environmentally friendly cotton and continue their fight against global warming. On top of that, Yvon Chouinard sounds like an all-round really cool guy who you just want to hang out with, go surfing in your lunch break or rock climbing on the weekends. On a smaller scale, the name sake of our company is of course Jake, our four-legged co-founder. He’s the happiest, most contempt little guy and never more excited than when we take him out and roam the great outdoors together. Sometimes, after a long day at your desk or in production, you just want to put your legs up and chill but Jake helps fight the occasional couch potato in us and won’t stop pestering until we have our hiking boots on. It’s our drive to make a difference in this world, living a life with purpose helping those less fortunate than ourselves. Every business idea that pops in our head comes with the question:” what mission can this support?” or similarly, we read about a problem and immediately our brains start working on a business solution. We know that we won’t eradicate childhood food hunger in our lifetime but we can’t just stand by and do nothing. The founders of YES TO build businesses on three key pillars: 1. work with brilliant people, 2. make great products and 3. benefit and impactful cause. I think that’s a pretty good guide line to follow. Also, helping others and seeing the positive change in their lives makes us happy. Life, would one way or another, throw an opportunity at us and it would certainly be a social enterprise of some variety.